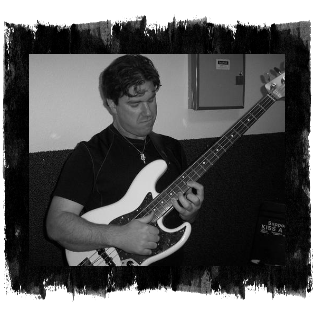 Michael Olson Bass - Bass Player, Teacher & Blogger. Hi, I’m a bass player. Wait, I mean bassist. Whatever. I started playing in 1983. Went through a few bands and school music classes (ended up with 5 during my final semester! ), took lessons from some great teachers (Dave Beegle, Marty Rein, Peter Huffaker), and ended up attending school at MI in Hollywood, where I graduated in ’89 with honors. In 1991 I joined a group from the Boulder, Colorado area called Wind Machine, where I got to develop my fretless chops for 8 years and tour the country with some of the finest musicians – and people – I’ve known to this day. During off time from WM, I taught private lessons all over northern Colorado, recorded several albums with various notable artists as Dave Beegle, Bob Hollister, Danny Oertli, and GasHead, among others. It was certainly more interesting than attending college! When WM disbanded in 1998, I began to freelance more, and temporarily joined a few bands until I decided to move to Nashville in 2002. Upon finding that I didn’t really care to live there, I returned and began my performing and teaching career again, this time joining forces with Jennifer Lane at Elway’s Steakhouse and Bar in the Cherry Creek section of Denver, where we have performed together as a duo since November 2004. I have also spent considerable time performing with Dave Beegle, a rock-and-roll cover band called The Jurrasicasters (also including Dave Beegle), and Kevin Karrick. Sometime around the fall of 2003, I began having strange physical problems regarding my walking and right hand motion. After a few years of denial and more and more symptoms showing up, I finally gave in and went in for a physical, and to make a long story short, I was diagnosed with MS in October of 2006. It’s been just over 4 years since then as of this writing, and while my body can only take so much exertion and the right side of my body has been considerably affected by the disease, I am still able to maintain a healthy student load and 3 gigs/week. THANK YOU GOD. I am always entertaining inquiries for new students and recording/performance work. You can reach me via my contact information. Oh yeah – did I forget to mention that I’m a caffeine addict?